The Silk Road or Silk Route refers to a network of interlinking trade routes across the Afro-Eurasian landmass that connected East, South, and Western Asia with the Mediterranean and European world, as well as parts of North and East Africa. The land routes were supplemented by sea routes which extended from the Red Sea to East Africa, India, China, and Southeast Asia. China traded silk, spices, teas, and porcelain; while India traded ivory, textiles, precious stones, and pepper; and the Roman Empire exported gold, silver, fine glassware, wine, carpets, and jewels. In the first episode we begin our journey through China at the Great Wall and from there witness such sights as the incredible Clay Army, the amazing World’s Largest Tomb and the fantastic Underground Murals of the Most Beautiful Princess Who Ever Lived. 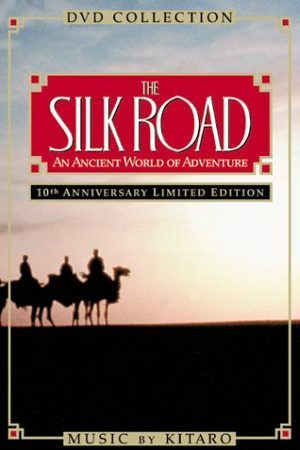 The NHK Tokushu documentary series The Silk Road began on April 7, 1980 and spans 12 episodes. Each episode is around 55 minutes.